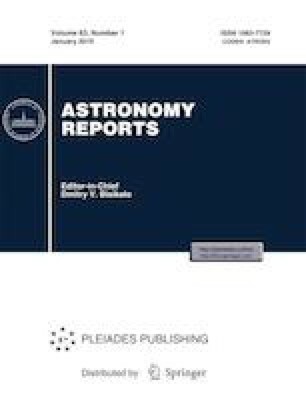 The results of long-term monitoring of the Galactic maser source IRAS 18316–0602 (G25.65+1.05) in the water-vapor line at frequency f = 22.235 GHz (616–523 transitioin) carried out on the 22-m Simeiz, 26-m HartRAO, and 26-m Torun radio telescopes are reported. The source has been episodically observed on the Simeiz telescope since 2000, with more regular observations beginning in 2017. A double flare was observed beginning in September 2017 and continuing to February 2018, which was the most powerful flare registered over the entire history of observations of this object. Most of the monitoring of the flare was carried out in a daily regime. Detailed analysis of the variations of the flux density, which reached a maximum value P ≈ 1.3 × 105 Jy, have led to important scientific conclusions about possible mechanisms for the emission in this water line. The exponential growth in the flux density in this double flare testifies that it was associated with a maser that was unsaturated right up to the maximum flux densities observed. An additional argument suggesting the maser was unsaturated is the relatively moderate degree of linear polarization (≈30%), nearly half the value displayed by the Galactic kilomasers in Orion KL. The accurate distance estimate for IRAS 18316–0602 (12.5 kpc) and the flux density at the flare maximum (≈1.3 × 105 Jy) makes this the most powerful Galactic kilomaser known. The double form of the flare with exponential rises in flux density rules out the possibility that the flare is the effect of directivity of a radiation beam relative to the observer. The physical nature of the flare is most likely related to internal parameters of the medium in which the maser clumps radiating in the water line are located. A rapid, exponential growth in the flux density of a kilomaser and associated exponential decays requires the presence of an explosive increase in the density of the medium and the photon flux, leading to an increase in the temperature by 10–40 K above the initial base level. A mechanism for the primary energy release in IRAS 18316–0602 is proposed, which is associated with a multiple massive star system located in a stage of evolution preceding its entry onto the main sequence. A flare in this object could initiate gravitational interaction between the central star and a massive companion at its periastron. The resulting powerful gravitational perturbation could lead to the ejection of the envelope of the central supermassive star, which gives rise to an explosive increase in the density and temperature of the associate gas–dust medium when it reaches the disk, where the maser clumps are located. Russian Text © L.N. Vol’vach, A.E. Vol’vach, M.G. Larionov, G.C. MacLeod, S.P. van den Heever, P. Wolak, M. Olech, A.V. Ipatov, D.V. Ivanov, A.G. Mikhailov, A.E. Mel’nikov, K. Menten, A. Belloche, A. Weiss, P. Mazumdar, F. Schuller, 2019, published in Astronomicheskii Zhurnal, 2019, Vol. 96, No. 1, pp. 51–69.